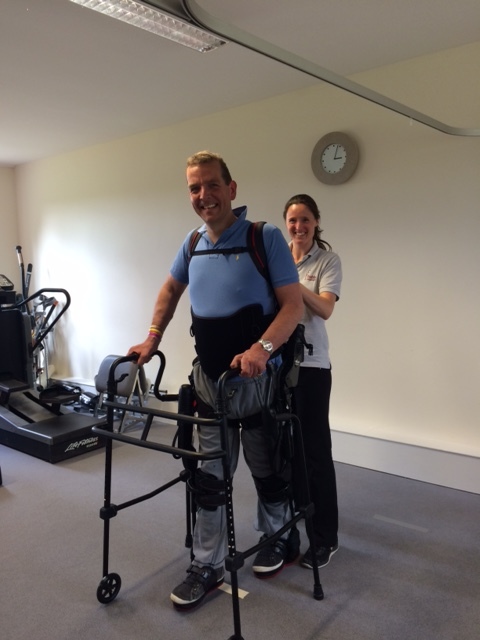 Hobbs now offers a specialist assessment and treatment service for clients wanting to trial the Ekso Bionics Skeleton. Download flyer here. 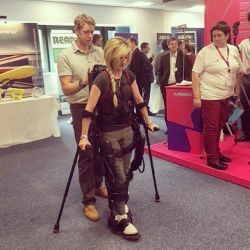 This enables lawyers and case managers to refer people, or you can self-refer, to try the Ekso to determine its suitability and explore its potential benefits for them. The Ekso has recently been voted ‘One of the three Coolest Medical Breakthroughs’ at Healthtech ’15! 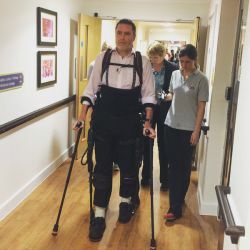 What is the Ekso Bionics Exoskeleton? 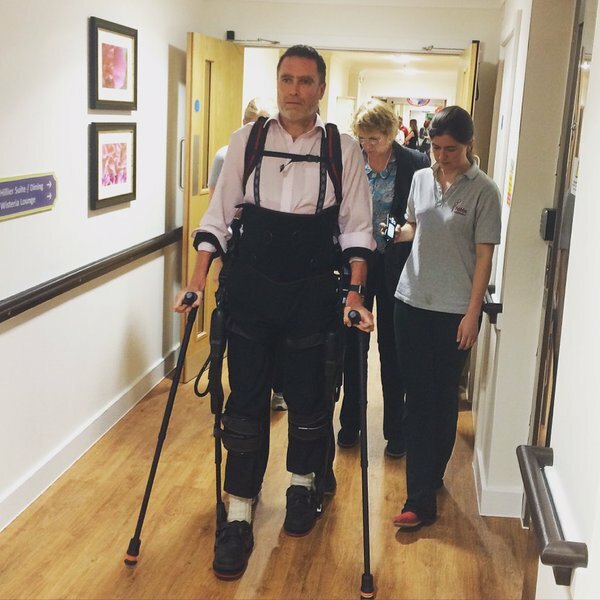 The Ekso exoskeleton has been designed to allow those with lower limb weakness or paralysis to stand and walk. 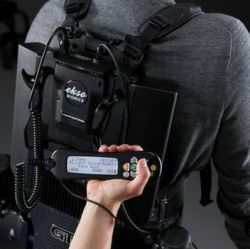 It is worn like a suit providing full external support when you are up against gravity. 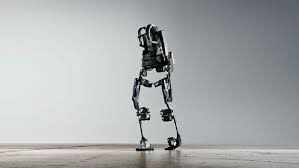 Two battery powered motors stand and propel the Ekso and state-of-the-art sensors facilitate a natural walking pattern. 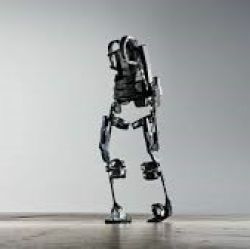 Walking in the Ekso can be completely passive, triggered by you shifting your weight or by you actually taking a step. 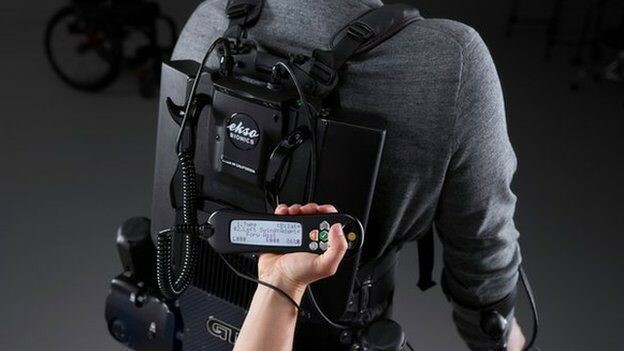 The Ekso exoskeleton is not easily portable, and therefore is not suitable for a home environment. 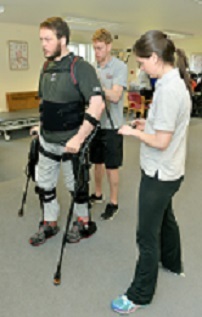 The equipment requires 2 trained therapists to fit and set it up to your rehabilitation needs. 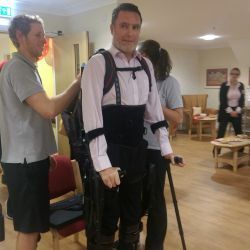 The Ekso exoskeleton can be bought in the UK, but it is necessary to have an assessment and training session with a clinician in order to gain the most potential. 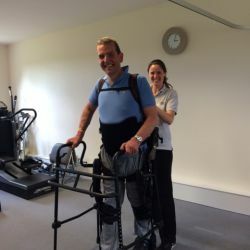 The very nature of rehabilitation is that it is progressive and responsive to developments. 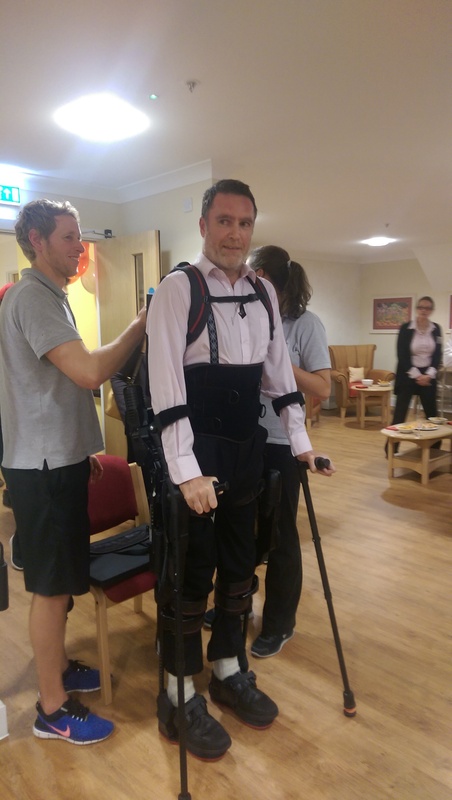 The clinician will lead the programme in accordance with your outcome measures, tailoring the use of the Ekso exoskeleton access the optimum results and avoid the temptation to overdo things! 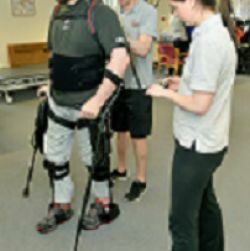 Feedback has been very positive, we are currently recording a number of case studies in collaboration with the University of Winchester to detail the progress being made.